Lock in a great price for Glass Resort – rated 9.2 by recent guests! Nice and clean room. Jacuzzi was really a highlight of the night. I love almost about everything! The bed is firm and comfortable! The breakfast is nice! Most importantly ! It's extremely clean!!! 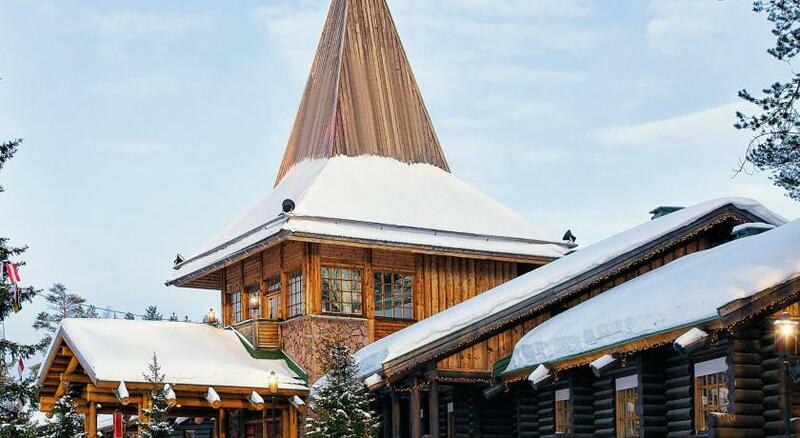 For many people the location would probably be the best thing but I thought it would be more far from the extra busy Santa Claus Village, it is inside. The unit we stayed was very comfortable and it was awesome to have sauna and a hot tub, it was a clear night but no aurora show. Generally speaking, the room and facilities, amenities were the best and thats it. This is one of the best hotel we ever stayed and perhaps one of the best of our honeymoon trip. Such a great place for breakaway. The service was nice and freindly, Room is spectacular and clean! Great scenery, clean, good size apartment, friendly staff. I highly recommend it. Everything from service to room & location was amazing. You get sauna inside and a hot tub outside. Stocked fridge, brand new rooms, amazing views. Staff super friendly and speaks English very well. Ice bar is very cool, you should try espresso vodka shots! We went to Kakslauttanen after this and it is nowhere near the service & accomodation we got at Snowman. Jacuzzi in the snow! Excellent experience. Private setting of area to play snow. Igloo is big comparing to other hotels. Lovex the cleanliness of the unit and amenities, fun activities, sauna, distance to Santa Village, Santa Park, Snowman World, City Center, and Rovaneimi airport. Yummy free hot breakfast spread with warm eggs! Manager (Kristina) was prompt in answering email inquiries and even took the time to welcome us! Thank you for the excellent customer service and friendly staff, who were all helpful, and prompt to our needs. 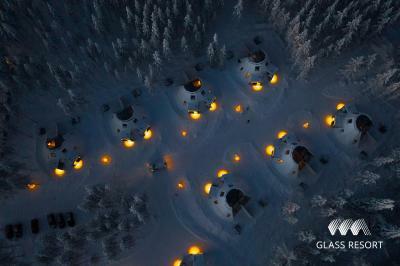 One of our top picks in Rovaniemi.Located within Santa Claus Village, Glass Resort is set in Rovaniemi. All apartments comes with floor-to-ceiling windows, sauna and a private outdoor hot tub. Santa Claus' Office is just a few minutes by foot. Each unit has a flat-screen TV and seating area to relax in after a busy day. You will find a kitchenette and tea/coffee facilities in the room. 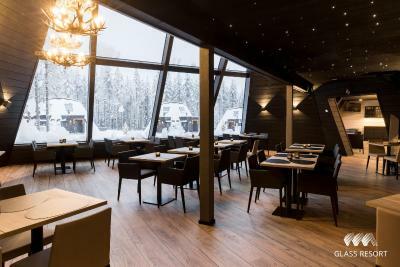 At Glass Resort, you will also find a 24-hour front desk, tour desk and on-site restaurant. Chasing Northern Lights is popular in this area between October - March. Arktikum Science Center and Ounasvaara Ski Resort are each about 5 mi from the property. 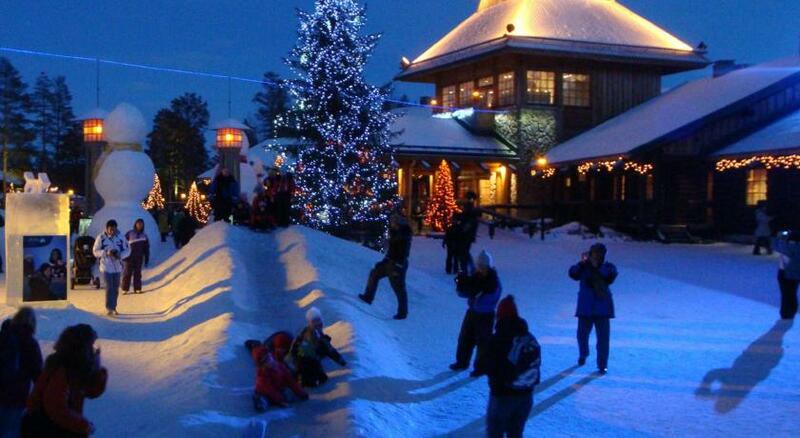 The nearest airport is Rovaniemi Airport, 1.9 mi from Glass Resort. 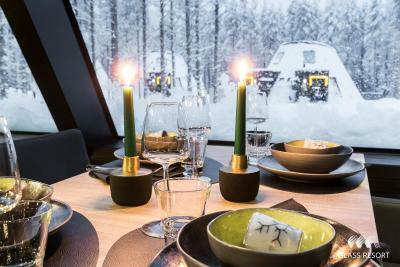 When would you like to stay at Glass Resort? This apartment features large windows to view the sky and surroundings. There is also a kitchenette, sauna and private outdoor hot tub. House Rules Glass Resort takes special requests – add in the next step! Glass Resort accepts these cards and reserves the right to temporarily hold an amount prior to arrival. Please inform Glass Resort of your expected arrival time in advance. You can use the Special Requests box when booking, or contact the property directly using the contact details in your confirmation. The PERFECT place to stay. Incredible Great breakfast, superb service and breathtaking beauty. Accommodation amidst the trees was great and the igloo was warm and comfortable,good beds,nice enuf kitchenette and great shower and sauna...breakfast was wonderful,everything you could wish for.....hot tub could have been a tad hotter as was quite cold when a wind got up. Very comfortable igloos to stay if u have group of friends together...nice Jacuzzi outside each igloos ! Great view to wake up too in the morning, love it ! Indoor sauna and outdoor jakuzi. Full glass heated ceiling. Restaurant has too little chice. Price is expensive. The sockets are under the cubed bedside table making it awkward to plug things in. I ended up hitting my head a couple of times on the lamp from crouching over. I loved everything about this property! The location is spot on! This place is pretty new, it opened in 2017! It’s a very cozy place to stay inside Santa Claus Village! The sauna was perfect! It’s very big! The bathroom is very clean and the water pressure was perfect! If the room gets too hot, you can adjust the room temperature. The breakfast is a magnificent buffet breakfast with plenty of options as well as smoothies and salmon!! The jacuzzi offers a wonderful view and it was perfect to enjoy at day and night! We also had a great nights sleep, way better than my own! Amazing place ! The only flaw is the food is not that great but the staff are lovely..
For the price, I would have appreciated that the transfer from and back to the airport is included in the price. It isn’t that expensive so it wasn’t really a pain point for us but I know that another hotel in the same area offer/include the transfer in their price... and that's always more appreciated. Also, our room was located at the back-end so we were not annoyed by the other visitors going into their apartment or by the cars entering in the parking but I can imagine that if you get a room in front of the parking or next to the reception, the level of appreciation can be a bit lower. EXCEPTIONAL ! I've booked that hotel for my husband's birthday. It was a surprise and I have to say that the most incredible thing I appreciated is the availability of the staff and their quick answers to all our communications before our arrival. They've arranged for everything even for the secret birthday cake. The staff is really the KEY success of that hotel because they're all aligned and happy to help. As far as the apartment is concerned, the view from the apartment is simply amazing. The outdoor hot tub and private sauna is a pure pleasure. They provide you with rituals product in the bathroom. The bed is very comfortable. Kitchen is very complete and pragmatic. The breakfast is excellent and very diversified with quality products. I think if you book through their website, the access to the snowman world is for free and that is worth the visit. Also the area around the reception is very beautiful, cosy and comfortable. One point that I regret though was that we only spent one night there :-P If you can afford for more nights, it is definitely worth the price... especially if you want to enjoy Northern Lights, it is really a very good location to do so :-D Special thank to Anni and Ville for their kindness and availability ! I felt the stairways is a little narrow and the price is still steep for the resort. Airport transfers should be complimentary as what’s offered by other resort. Breakfast was a little luxury but selection is small and mainly cold food. The bed is extremely comfortable and appreciate the air conditioning in the room. The jacuzzi was very comfortable too and so is the sauna. The resort is very new and well maintained. It felt extremely luxury and the view is perfect, it heals the soul. I also appreciate the architectural design of the resort. Lack of privacy around the jacuzzi is the only thing we didn't like. The stairs to the bedroom are small and tight and may pose a problem for some. The room is beautifully decorated, the furnishings are really comfortable and of course, the views are stunning (we were in 6B looking out onto the trees). The cooking hood didnt work. My friends and I booked two rooms and both of the cooking hood in our rooms werent working. So all the smoke and smell were all over the room.